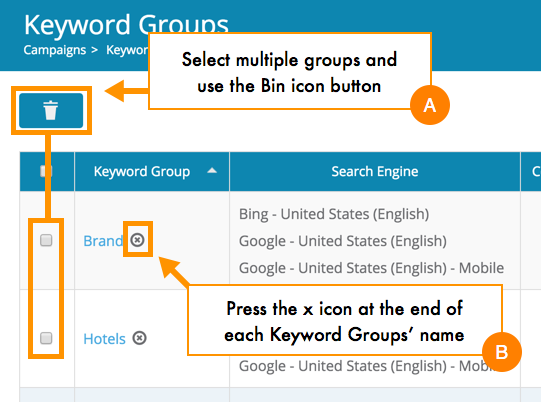 You may delete keyword groups you no longer want to track through the Bulk Actions menu on the Keyword Groups page. Note: Deleting a keyword group will delete all keyword, competitor, and ranking data associated with it. There is no undo for this action. 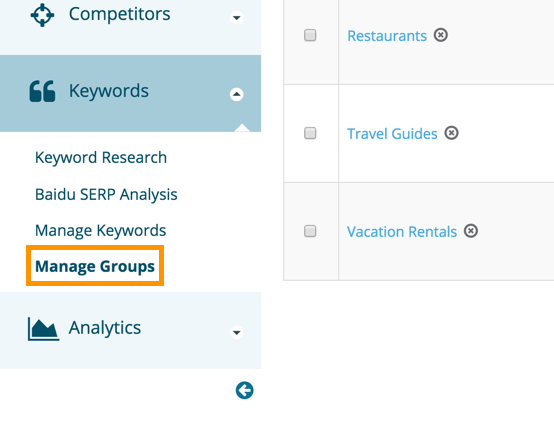 To delete a keyword, first navigate to the Keyword Groups page under the Keyword area in the left navigation. 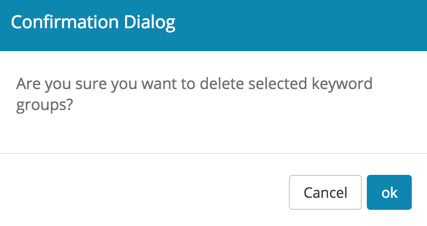 No matter which way you choose to delete, you will see a confirmation dialog, after confirming, click ok.